You may not know that the federal gift tax could affect your future planning for your family if you have a child or other relative with special needs. First, you will need an introduction to how the gift tax works. 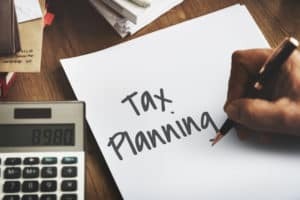 Second, you need to know how to structure your future planning so that you or other relatives are not paying large gift taxes or facing other penalties. The federal gift tax is a tax paid by some people who give gifts of money or property to others. The person who receives a gift does not pay tax on it. Only people whose yearly gifts exceed the “gift tax exclusion amount” can possibly owe the tax. In 2018, the exclusion amount is $15,000. In other words, if you make more than $15,000 total in gifts to one person during a tax year, it is possible that you may owe gift tax. Additional gifts to an individual beyond the $15,000 annual exclusion amount in a given year count toward each person’s total lifetime combined estate and gift tax exemption. In 2018, the estate tax exemption is $11.18 million for a single person, which therefore excludes the vast majority of people. However, if a parent, grandparent, an aunt or uncle, or possibly even a sibling may have a very large estate, they may want to consider the gift and estate tax consequences of making gifts. How Does the Gift Tax Impact Future Planning? The gift tax impacts (1) people with special needs receiving gifts from relatives, and (2) relatives giving funds directly to a non-grantor 3rd party Special Needs Trust (SNT) The first concern is that making large gifts to people with special needs could impact their ability to receive benefits. Therefore, the family of the individual with special needs should consider setting up an SNT to receive large gifts from relatives. The second concern is how the gift from a relative with a large estate may cause him or her to incur a gift tax or a future estate tax. A gift to a SNT of which the relative is not the “grantor” (for income tax purposes) is NOT a “present interest gift.” Therefore, the $15,000 annual exclusion amount does not apply, and any gifts – even ones less than $15,000 in a single year – will reduce the lifetime combined estate and gift tax dollar for dollar. If you or any relative is planning a gift to a child with special needs or to his or her SNT, it is highly recommended that your family work with an attorney who is very experienced in special needs planning as well as estate and gift tax planning.